For all ages. No registration is required. Join us in the Children’s Room. Held on Mondays following the Open Storytime & Puppet Show at 10 am. Please sign in at the Children’s Room desk with a caregiver on the day of the craft and make a nametag. Prerequisites: Word class or experience using Word and/or Office. No registration required. Please contact 603-589-4611 or email reference@nashualibrary.org with any questions. For ages 4–11. Please sign in at the Children’s Room desk with a caregiver on the day of the craft and make a nametag. 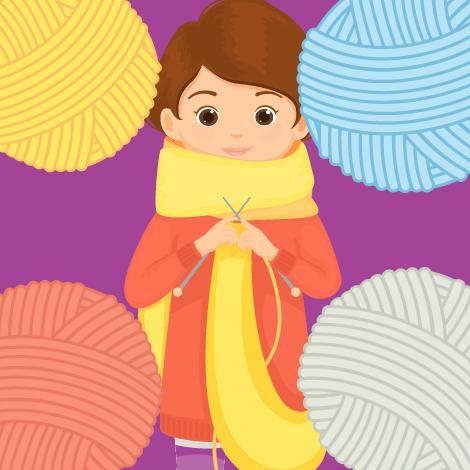 Bring your coloring, craft projects, knitting, crocheting, or needlework to the Activity Room from 2 pm to 3:30 pm on Mondays. Come with friends or meet new ones! 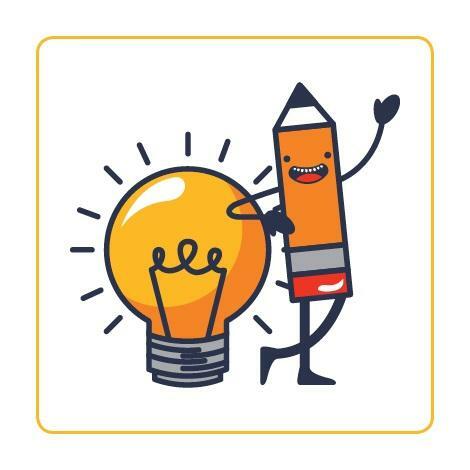 We can provide coloring books, colored pencils, and gel pens. Live tutorial on how to use makeup to create performance and special-effects makeup. Discussion club for Artificial Intelligence (AI) related topics (recent papers review, presentation of members' projects, AI news discussions, etc.). For ages 2–5 years. Held after the 10 am Open Storytime & Puppet Show. No registration required. Please call 603-589-4611 or email reference@nashualibrary.org with any questions. For ages 12 to 17. Grab some friends and join our special vacation week Super Smash Bros. WiiU tournament. Bring your own controller or 3DS if you want. Fantasy | Rated PG-13 | 134 mins. 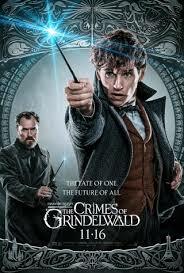 To thwart Grindelwald’s plan to raise pureblood wizards to rule over all nonmagical beings, Albus Dumbledore enlists his former student Newt Scamander. Newt agrees to help, unaware of the dangers that lie ahead. Sponsored by the Friends of the Library. Outside in the Library Plaza, The City of Nashua Division of Public Health will offer HIV/hepatitis C testing and hepatitis A vaccinations and free blood pressure screenings in their mobie clinic on the fourth Wednesday of the month. Confidential and private. Free or low-cost for eligible clients. If you have Medicare, please bring your card. For more information call the City of Nashua Division of Public Health at (603) 589-4500. Avete studiato italiano o avete vissuto in Italia e vorreste avere l'opportunità di utilizzare quello che avete imparato parlando italiano con altre persone? Aderite al nostro gruppo di conversazione che si riunisce il mercoledì alle 14.00. Work on your cosplay for ComicFest! Use our supplies or bring your own. Drop in for help from a reference librarian with your technology questions. You can come in any time during the open hours to get help with specific problems you have encountered when working with e-readers, apps, Microsoft Office, surfing the web, and using the library databases or catalog. No registration is necessary. Feel free to bring your laptop, flash drive, or device. Please note that we cannot provide assistance with computer repair or virus removal. Through stories and music, learn how to read aloud and develop your baby’s language and pre-reading skills. Babies and their caregivers are welcome to join us; no registration is required. Ages birth–12 months: 11 am and 3 pm NEW TIME! Job Corps is a free, residential, education and job training program for young adults ages 16 to 24. Job Corps connects you with the skills and education you need to get the career you want! On most Thursdays you can come to the library and meet with an admissions officer who can help you apply to the program. Call (603) 589-4603 to find out if they are here this week. More information. Learn how much and what type of memory loss to expect as you age. Dr. Andrew Budson, a neurology professor at Boston University and author of Seven Steps to Managing Your Memory, will address questions like: What are the signs of normal aging? What are the markers of mild cognitive impairment, dementia, and Alzheimer’s? What medicines, alternative therapies, diets, and exercises are available to improve your memory? Copies of the book will be available for sale and signing. This group talks about Polish culture, literature, history, current affairs, and any other topics members are interested in. They speak in Polish or English, depending on member preferences. Americans interested in Poland and its rich heritage are most welcome. The Electric Car: Is It Right for You? 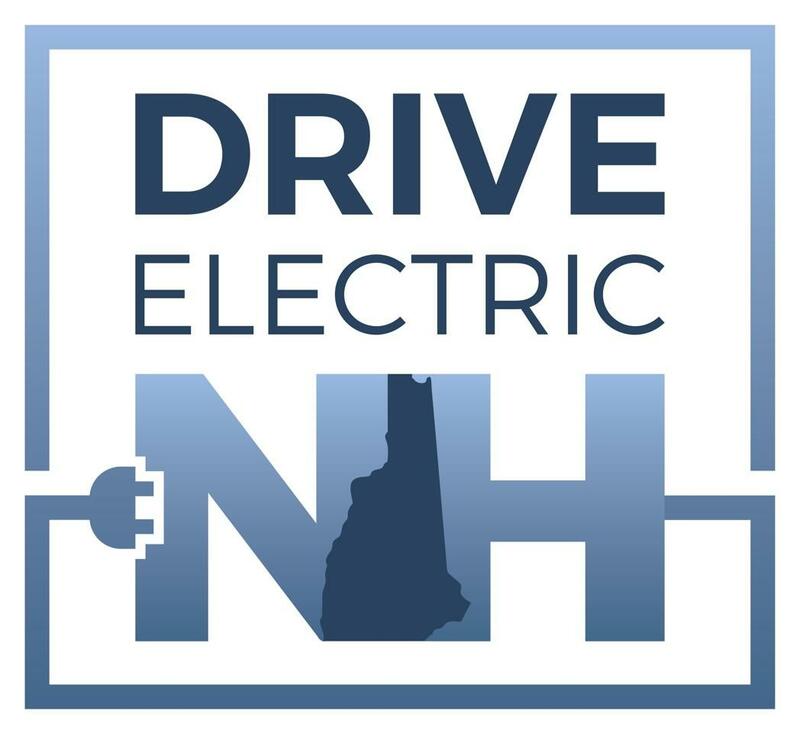 Members of Drive Electric NH will tell you all you need to know about buying, owning, and maintaining electric vehicles. Then we’ll head out to the parking lot to check out the electric vehicles they’re driving. This music, performed on flutes of many sizes, will evoke both earthly and otherworldly locales. The group will play arrangements of familiar pieces as well as original works by F. R. C. Clarke and Nicolas Real. Open Storytime will conclude with these special events for families to enjoy. If you’re single and of a generation that found dates at school, work, or in bars, this workshop is for you. Lisa Allen will answer your questions about online dating sites, what to say in your personal profile, posting your photo, and keeping safe online and off. Learn how the rest of the world plays Mahjong! We meet once a week for two hours to play Chinese Mahjong. Know nothing about Mahjong? I'll teach you. I first learned in China, but the game is played all over the world. For beginners we will focus on the basics. As players become more accustomed to the game I'll introduce scoring points and keeping track of scores. Join us for a panel discussion with community members who have experiences related to mass incarceration, immigration, voting rights, and lgbtq rights! After hearing from the panelists, organizers will talk about how people can get engaged with taking action on these important issues in NH. For ages 5–9. Held every other Tuesday. Please sign in at the Children’s Room desk with a caregiver on the day of the craft and make a nametag. Drama | Rated R | 100 mins. 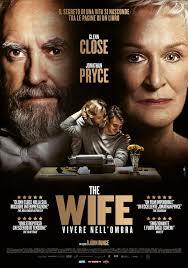 A wife questions her life choices as she travels to Stockholm with her husband, where he is slated to receive the Nobel Prize for Literature. Sponsored by the Friends of the Library. 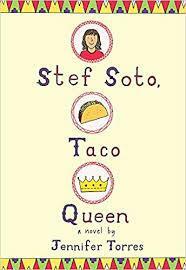 This Book Tasting will focus on Stef Soto, Taco Queen by Jennifer Torres. On May 1 we will hand out copies of the book, and on May 29 we will have a book discussion with snacks inspired by the story. This is a great introduction to multicultural stories and a way to explore connections between literature and food. Registration required; limited to 10. Paint some rocks and a mini flowerpot to create your very own pet rock cactus. Sandra Regina da Rocha Pratt joins us to read Portuguese and English stories. Learn or share some Portuguese and develop an appreciation of a new culture. 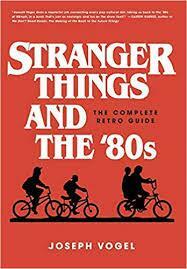 Dive deep into the world of Stranger Things with Joseph Vogel, author of Stranger Things and the ‘80s: The Complete Retro Guide. Examine all the show’s references, homages, and artifacts, from arcades, Ataris, BMX bikes, and MTV to Carl Sagan, Eggos, and mom jeans. Copies of the author’s book will be available for sale and signing. Calling all scruffy nerf herders! Stop by the Teen MakerSpace and create your own fandom swag with our 3D printer, stencil/sticker cutter, or button machine! Glad you did, you will be. Drama | Rated R | 135 mins. Ron Stallworth, an African-American police officer from Colorado, successfully manages to infiltrate the local Ku Klux Klan with the help of a Jewish surrogate who eventually becomes its leader. Based on a true story. Sponsored by the Friends of the Library. Influenza (flu) shots are $15 for adults and free for children. Employment Connect is a job fair for low-income individuals who are unemployed or underemployed. Between 20 and 25 employers will be on site accepting applications and interviewing job seekers. Sponsored by the Greater Nashua Continuum of Care and the Nashua Public Library. Are you looking to share your work, hone your craft, or exchange ideas? Whatever your genre–fiction or non, literature, romance, horror, sci-fi, or graphic novels–bring some of your work and meet others who can lend support and help you improve your craft. This daytime book group, run by a reference librarian, is open to all. 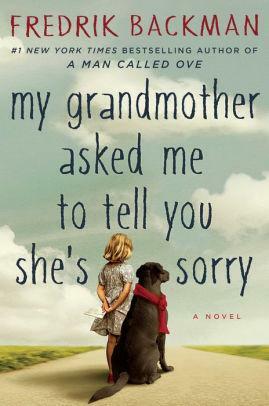 This month we'll talk about My Grandmother Asked Me to Tell You She’s Sorry by Frederik Backman. If you have a Nashua library card, you can pick up a copy of the book at the reference desk. Bryan Tolentino began teaching himself the ukulele at age 10. His early influences were Sons of Hawaii and Sunday Manoa. After graduating from Saint Louis School in 1979, he and friends formed the Side Order Band. 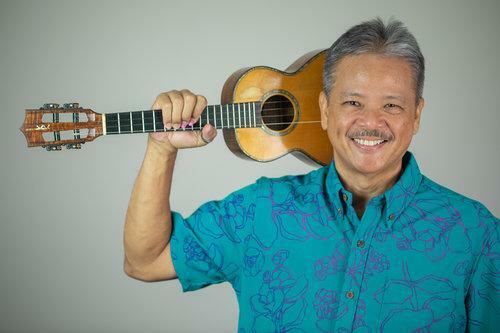 His repertoire mixes Hawaiian, contemporary, and original songs, blending creativity and diversity. Bryan has performed with the late Aunty Genoa Keawe, Karen Keawehawai’i, Jerry Santos and Olomana, Natalie Ai Kamauu, Napua Greig, Kuana Torres Kahele, Aaron Sala, Weldon Kekauoha, Hoku Zuttermeister and many more. He also found himself in growing demand for his contributions to dozens of recordings. He released his solo album “Ka ‘Ukulele Lele” in 2005 and a duet recording with Herb Ohta Jr., “Ukulele Friends,” in 2015. Introduction to two online databases: Ancestry Library Edition and Heritage Quest; searching census, death, and family records; searching full-text books. Musical | Rated PG | 130 mins. Decades after her original visit, the magical nanny returns to help Jane and Michael Banks, along with Michael’s children, through a difficult period in their lives. Sponsored by the Friends of the Library. Children under 7 must be accompanied by an adult. Please, no food in the theater. Get your anime on by watching, drawing, and breathing anime and manga! All are welcome to attend the Friends of the Nashua Public Library meetings, on the second Monday of the month. The group supports the library through fundraising, advocacy, and volunteering. More about the Friends of the Library. Learn to knit. This class is for adult beginners. No registration required. You Are You, no matter what! Straight? Gay? Not sure? Join us for open conversation, support, laughs, and snacks. Let's celebrate You! Western/Comedy | Rated R | 121 mins. 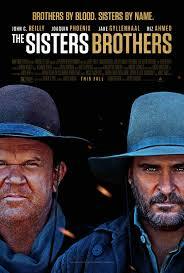 In 1850s Oregon, a gold prospector is chased by the infamous duo of assassins, the Sisters Brothers. Sponsored by the Friends of the Library. An opportunity for newcomers to Nashua learning English as well as native speakers to talk about topics of everyday interest, share their languages, and enjoy coffee, tea, and light snacks. Each month a new local artist exhibits work in our Art Gallery. These artists’ receptions give you the opportunity to talk one-on-one with them. 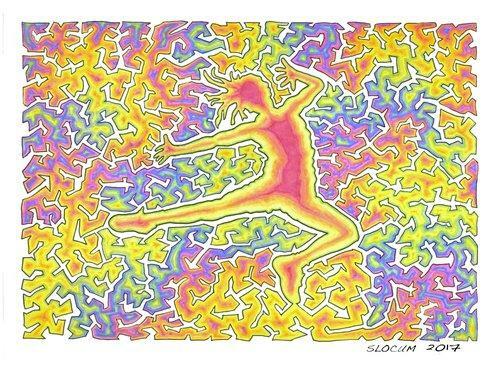 Meet Jonathan Slocum, whose drawings are on display. Light refreshments will be served. 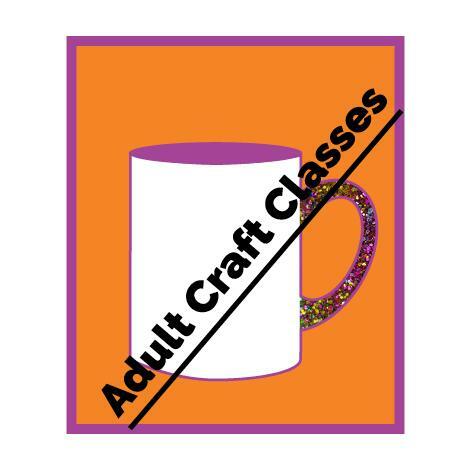 Enjoy a night out with friends at our monthly adult craft classes. This month we are making Glitter Coffee Mugs. For a sample, see: https://tinyurl.com/glittermug. No registration required. Open to the first 20 people who sign in at the Chandler Desk 30 minutes prior to class. tracking changes and inserting comments. Prerequisites: Word class or experience using Word. Bring the whole family for an evening of stories, education, and science: a little something for everyone! 5/20 Paper Plane Challenge: Test your engineering skills: Construct a paper airplane and test it out to see whose flies the farthest. An introduction to resources available through the library and in the Nashua area to help you write your resume. Learn where to get help with the following topics: improving your computer and word processing skills, getting an email account, storing your electronic resume, brushing up your writing skills, determining what to put on your resume and how to organize it, and creating your electronic resume. Note: you will not write a resume in this class. No registration required. Please call 603-589-4611 or email reference@nashualibrary.org with any questions. Fangirls and fanboys: Come talk about your favorite fandoms from books, comics, TV, and movies; make fandom-related crafts; and eat fandom-themed snacks. You’re welcome to cosplay or bring fanfic or fanart you’ve created. Science Fiction/Thriller | Rated R | 110 mins. 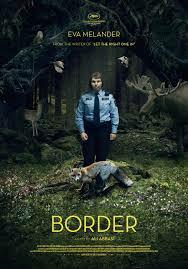 Tina is a border guard who has the ability to smell human emotions—and catch smugglers. When she comes across a mysterious man with a scent that confounds her detection, she uncovers a dark secret about her own past. Sponsored by the Friends of the Library. Learn all about Transcendental Meditation, a simple, natural, effortless mental technique that brings benefits to all areas of life. Learn how the technique works, and the rich tradition from which this knowledge comes. You will also have an opportunity to schedule your personal TM course of instruction. Regular practice helps eliminate stress, tension, anxiety, and fatigue while developing focus, memory, creativity, and intelligence. Grab some friends and come play Super Smash Bros. WiiU on our big screen. Bring your own controller or 3DS if you want. Drama | Rated PG-13 | 130 mins. 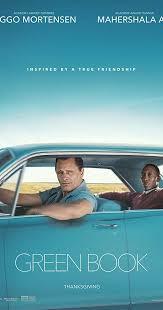 When Tony Lip, an Italian-American bouncer from the Bronx, is hired to drive Dr. Don Shirley, a world-class black pianist, on a concert tour from Manhattan to the Deep South, they must rely on a book to guide them to the few establishments that were then safe for African-Americans. Sponsored by the Friends of the Library. Prerequisites: Excel class or experience using Microsoft Excel outside of class, including creating formulas and basic charts in Excel. This is an advanced computer class. to explore connections between literature and food. Registration required; limited to 10. Basic introduction to Publisher. Learn to create a publication using Word Art, Text Boxes, Pictures, and other formatting tools. Prerequisite: Familiarity with other Microsoft Office applications like Word or Excel.